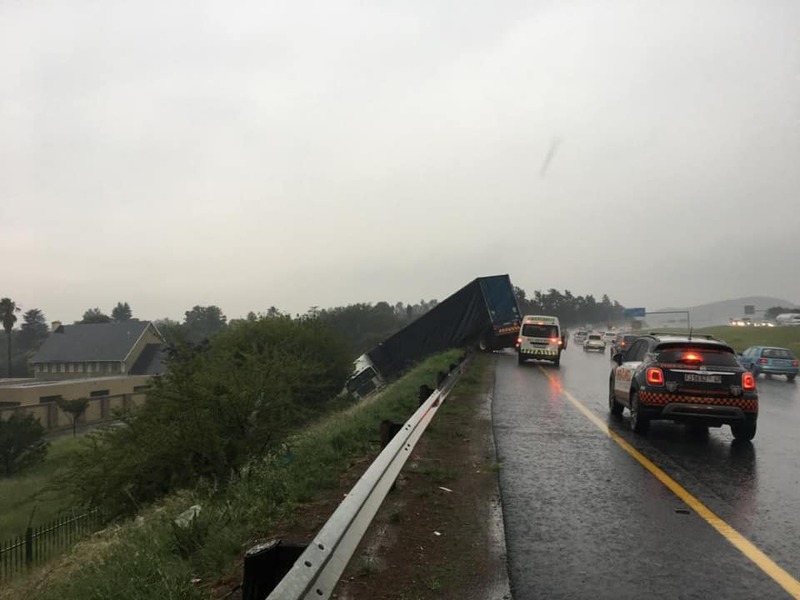 Paramedics from Emer-G-Med responded to a truck that lost control and slid over the barrier. Driver uninjured. Slippery when wet.